Send Files Securely originally launched in the Fall of 2011. It came about out of the need to send files quickly, easily, and most importantly securely over the Internet. It's been almost two years and the site has served hundreds of users uploading and downloading thousands of files. 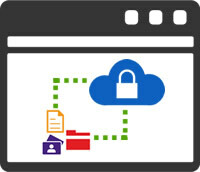 In August 2013, Send Files Securely went through a significant upgrade. While focusing on the same secure architecture and technologies, the site moved to the "cloud" (specifically, Microsoft's Windows Azure). Windows Azure provides virtually unlimited possibilities in computing resources and storage capacity. This means better service for users now and well into the future. The site also received a new look and many new features. The most notable being the addition of a paid subscription Pro plan in addition to the existing Free plan. For a small monthly fee, Pro users get dedicated storage space for their files, configurable file options, multi-file upload, an upload portal to receive files, and much more. Two of the most requested features were a progress bar for uploads and the ability to drag and drop files. Both of these features have been added to all plans. With all of these recent upgrades, Send Files Securely aims to provide the easiest and best way to send files securely online. Click here to check out these new features and start uploading your files today!